The Bureau of Medical Marijuana Regulation (the BoMM or the BuMMR, depending on who you ask) has a new chief. 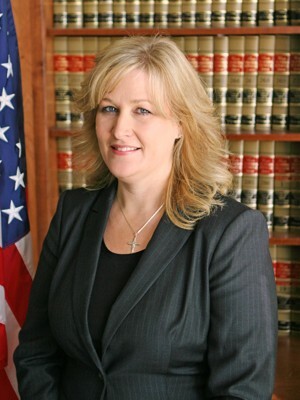 Lori Ajax, the deputy director of the state department of Alcoholic Beverage Control (ABC), was appointed by Gov. Jerry Brown to head the newly formed agency that will develop and enforce vast medical marijuana reforms enacted late last year. Ajax, who, according to the Sacramento Bee, has worked for ABC for 20 years, will work with a variety of state agencies to create rules on the medical marijuana industry in the framework of the new state laws, which separate aspects of the business and regulate everything from packaging to cultivation. At one point, Ajax managed licensing and enforcement for the alcohol agency in Northern California. Advocates for medical marijuana expressed concerns as the new regulations were being written, warning that treating marijuana like alcohol would be unfair. But California Growers Association Executive Director Hezekiah Allen was quoted in the Bee praising Ajax’s appointment. “We are encouraged by Lori’s experience with state bureaucracy and familiarity with rural counties,” he told the paper.